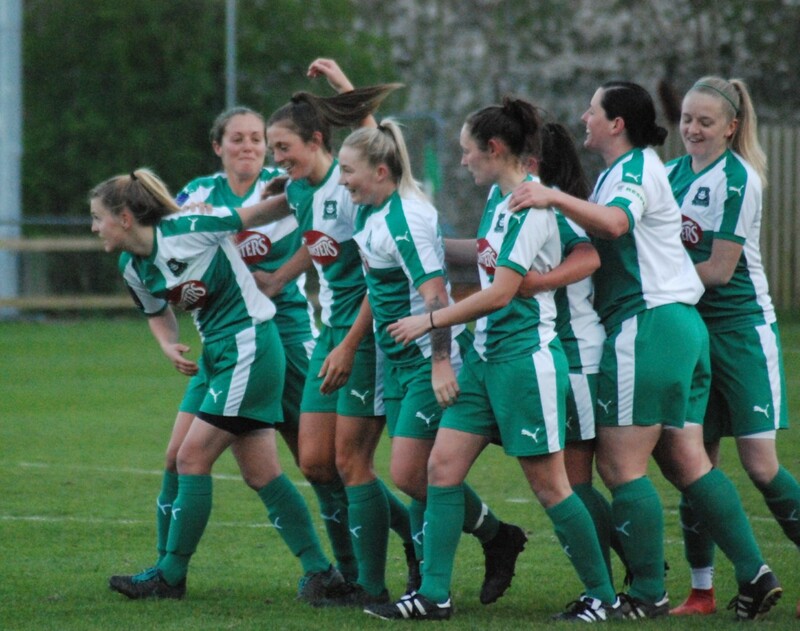 PLYMOUTH Argyle Ladies moved to within three points of the top four in the National Southern Premier Division on Sunday thanks to a 4-2 away win at Loughborough Foxes. Their impressive performance in Leicestershire came just 40 hours after winning the Devon Senior Cup on Friday night. Fifth-placed Argyle made one change from the team that played in the county cup final, with Ebony Dover making her first start since the 2-2 draw at home to Portsmouth and Jessica Jones dropping to the bench as a precautionary measure after injuring her shoulder against Buckland. However, Sunday’s win did come at a cost with Dover fearing she may have broke her hand after a Loughborough player landed heavily on her. Argyle changed their system from Friday night, reverting back to 4-2-3-1 formation with Dover playing the holding role, Helen Bleazard played on the right and Kayley Lane on the left with Zoe Cunningham taking up the number 10 role behind Natasha Knapman. Argyle took a little time to get the cup final out of their system, but they gradually got into in their stride. They were unfortunate not to open the scoring when Knapman scuffed the ball wide with the goal at her mercy. However, four minutes later the striker raced clear to beat the offside trap and fire low into the corner of the net to give her side a 28th-minute lead. This was Knapman’s fifth goal in her last three games. Five minutes later, Loughborough drew level when Argyle lost possession in midfield and the ball came to Rebecca Knight, who beat goalkeeper Sarah Prior in a one-on-one situation. Argyle had to make a change at half-time with Steph Beck having to come off due to a bit of cramp and on Jones came on as the visitors switched to a 4-1-4-1 formation. It took Argyle just a minute of the second half to regain the lead when Helen Bleazard played a one-two before cutting in to curl a superb effort into the top corner of the net. Jones helped the Pilgrims dominate midfield and she broke up a number of attacks that let to good chances at the other end. In the 66th minute, Jones beat the off-side trap to finish off a great move between Knapman and Cunningham and make it 3-1 before Argyle lost Dover with injury. Loughborough managed to work their way back into the game when, with 10 minutes to go, Argyle failed to clear a free-kick and from a goalmouth scramble Charlotte Cooper found the back of the net. Argyle brought on young Nicola Champion up front and in the last minute she made a great reverse pass to put in Jones, who rounded the goalkeeper to make the game safe. Argyle: Sarah Prior, Leah Burridge, Katie Middleton, Mollie Taylor, Stephanie Beck (Jessica Jones), Ebony Dover (Tamsin Medd-Gill), Zoe Cunningham, Kayley Lane, Faye Ivall, Natasha Knapman (Nicola Champion ), Helen Bleazard.